Come and enjoy this special holiday home on the shores of Lake Rotorua. With all the comforts you would expect from a high quality lake house such as this, you can't help but relax and enjoy yourself as soon as you walk in the door. Most of the rooms have excellent views of the lake looking out to Mokoia Island and beyond. The house is situated on a large section and positioned to make the most of the stunning lake views and enormous front yard and lakeside reserve. You'll see the city lights across the lake by night and the ever changing Lake Rotorua by day. Directly in front of the house, you'll also find some of the regions most productive trout fishing waters, and that's saying something considering the Rotorua region boasts some 18 lakes! Bring your fly rod and cast off the front lawn or launch the boat at the boat ramp only minutes down the road. We've seen trout jumping within 15m of the beach right in front of the house so give it a go, you might hook the big one! There are two kayaks (and life jackets) supplied for you to enjoy a paddle on the lake. Maybe even drag a trout lure behind you as the kayaking speed is the perfect trolling speed. After a day of enjoying what Rotorua has to offer, come home and relax on the deck and cook a BBQ or soak in the private spa pool looking out towards the lake. The house has high speed fibre wifi and apple tv - perfect for streaming your favourite shows on Netflix. In the garage you will even find foosball and table tennis tables to keep you entertained. During the winter months, the house has a wood burner with plenty of wood and also a Heat Pump to keep everyone toasty warm. Don't worry if you don't know how to light a fire, we'll set it all up for you ready to strike a match and start it. Yes, it's all here so just pack your bags and come and see for yourself, we know you'll love it as much as we do! Beautiful location, very well equipped with plenty of space for the family. House a little tired and needs some TLC. Great spot for a getaway. The house was nice and tidy and had all that you needed. Great to be so close to the water. Fantastic location - lakefront and lovely clean house. Great place for kids with kayaks - although couple struggled to balance in them! great location, very clean, separation between all bedrooms, plenty of different areas to get away from each other, great having 3 bathrooms for our 6 person family, master bedroom bed comfortable but others were on the hard side. Lovely spacious property with heaps of amenities. A great location with plenty of room and lovely views. 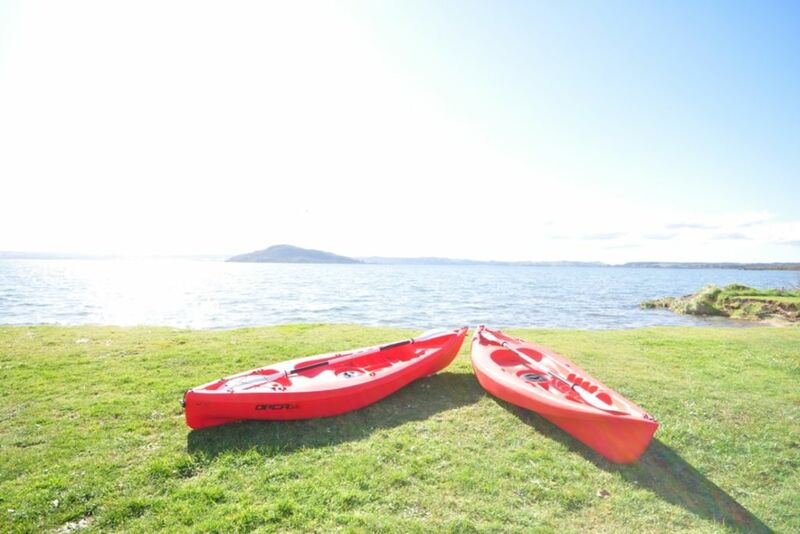 amazing lake view, great location for all activities around Rotorua.